Is Israel trying to Occupy the US 1st Amendment? Israeli footprints are becoming more apparent in the U.S. security apparatus. Such a fact does not bode well for ordinary people from the United States. U.S. Senate Bill S.720 should have been a wake-up call. The bill, drafted by the Israel lobby group, U.S. Israel Public Affairs Committee, as part of its "2017 Lobbying Agenda" is set to punish any individual or company that boycotts Israel for its violation of Palestinian human rights. The severe punishment could reach a million dollars in fines, and up to 20 years in jail. 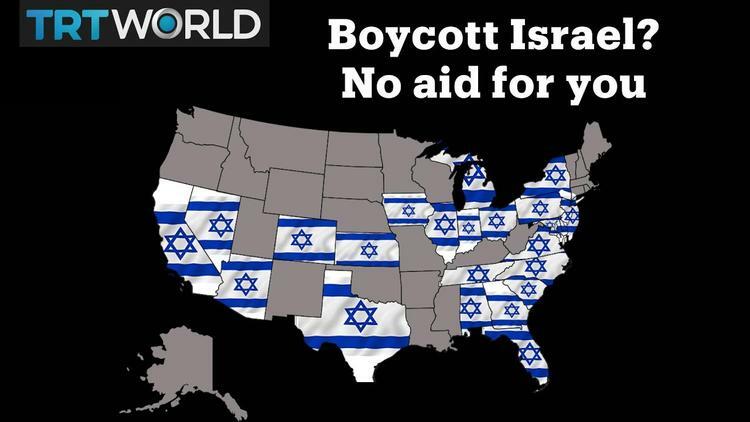 Although political boycott has been sanctioned by the U.S. Supreme Court, the Congress wants to make a boycott of Israel the exception, even if it means the subversion of U.S. democracy. Still, protests are largely muted. The mainstream U.S. media is yet to take U.S. lawmakers to task, as hundreds of those elected representatives have already endorsed the unacceptable initiative. Criticizing Israel is still a taboo in the U.S., where the Congress is beholden to lobby pressures and kickbacks, and where the media’s script on the illegal Israeli military occupation of Palestine is even less critical than Israel’s own media. However, the infiltration of the U.S. government is not new. It is only becoming more emboldened, due to the absence of enough critical voices that are capable of creating a semblance of balance or a serious debate on the issue. For years, ordinary U.S. citizens have been far-removed from the entire discussion on Israel and Palestine. The subject felt alien, marred by Hollywood propaganda, religious misconception and the lack of any understanding of history. But in recent years, Israel has become an integral part of U.S. life, even if most people do not spot the Israeli influence. The successful branding has earned Israeli security firms billions of dollars. The massive payouts are the result of the exploitation of U.S. fear of terrorism while presenting Israel as a successful model of fighting terror. Groups like AIPAC, the Anti-Defamation League, ADL, and the Jewish Institute for National Security Affairs are, to various degrees, involved in turning the US police force into militarized units similar to the structure of the Israeli police. This ‘non-democratic context’ involves the policing, humiliating and often outright murdering of occupied Palestinians. Instead of pressuring Israel to end its occupation of the Palestinians, the U.S. government is bringing Israeli ‘expertise’ to its own cities. Indeed, the U.S. military-like police phenomena has made local cops look more like "an occupying force" than individuals sworn to protect the public. Israel is exporting its occupation tactics to the U.S., with Israeli military contractors opening subsidiaries across the country, promoting their surveillance technologies, walls, border monitoring equipment and violent tactics. People in the United States should be worried, but most are oblivious to the disturbing pattern because the media rarely sheds a light on the growing Israeli military influence on U.S. life. An Israeli company, Elta North America, (a subsidiary of the Israel Aerospace Industry) was one of eight companies awarded a massive sum to produce a prototype for the wall that the U.S. intends to build along the U.S.-Mexico border. "President Trump is right. I built a wall along Israel’s southern border. It stopped all illegal immigration. Great success. Great idea," tweeted Israeli Prime Minister, Benjamin Netanyahu, at the time. Although his support of Trump angered Mexico and many people from the United States, Netanyahu knew of the lucrative investments in the years ahead only too well. Indeed, U.S. border security has been a major source of revenue for Israeli companies. One such generous contract was the one granted by the Obama Administration to the Israeli company Elbit Systems. Valued at $145-million, the company provided surveillance equipment and built towers along the Arizona/Sonora U.S.-Mexico border. Elbit also cashed in handsomely from Boeing in 2006 for its part in the "DHS’ Strategic Border Initiative." Magal Security System, the Israeli firm that has helped the Israeli military in tightening the siege on Gaza, is actively involved in the burgeoning U.S. security industry and was one of the first companies to pitch building the wall to cut off Mexico from the U.S.
Israel’s illegal tactics are now the model through which the U.S. plans to police its cities, monitor its borders and define its relationship with its neighbors. But the fact is that Israeli walls are not meant for defense, but rather to annex Palestinian and Arab land while feeding its own national phobias of threats lurking all around. While the U.S.’ imprudent and violent response to Sept. 11, 2001, attacks contributed to existing U.S. fears of the rest of the world, Trump’s isolationist policies pave the perfect ground for further Israeli infiltration of U.S. government and society. The evidence of all of this can now be found in major U.S. cities, its various borders and the surveillance system that has the potential to monitor every U.S. citizen. Ramzy Baroud is a journalist, author and editor of Palestine Chronicle. His forthcoming book is "The Last Earth: A Palestinian Story." Baroud has a Ph.D. in Palestine Studies from the University of Exeter and is a Non-Resident Scholar at Orfalea Center for Global and International Studies, University of California.